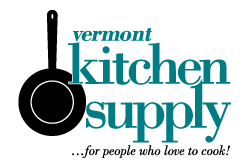 We have thousands of products in our Vermont retail store. Simply fill out this form and we will respond in a prompt manner. Please describe the product, its features and and what it is used for. Of course, if you do not know what it is... just let us know what you are trying to do and we will send along a few of the best solutions. We do not offer our cast iron, pizza stones, and other heavy items on our website due to high shipping costs. If this is not an issue for you, just let us know and we'll get you what you need!